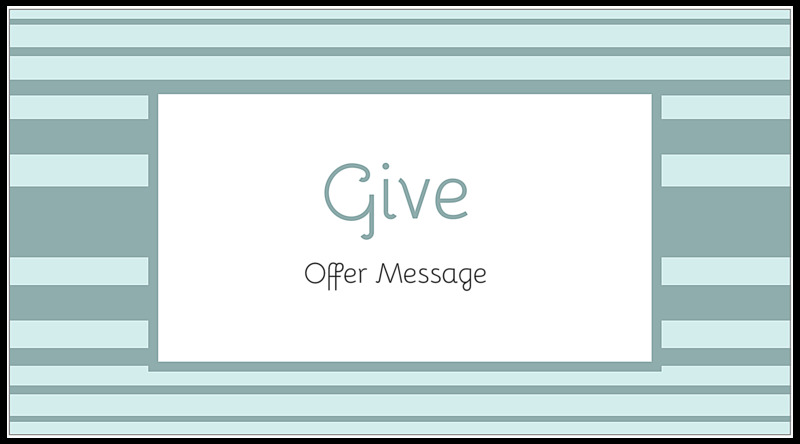 Our Give Us A Stripe postcard design template will have donors lining up to support your charity or cause. Perfect for nonprofit organizations, Give Us A Stripe features an energetic front design with two-toned striped bands backing a large donation call to action. 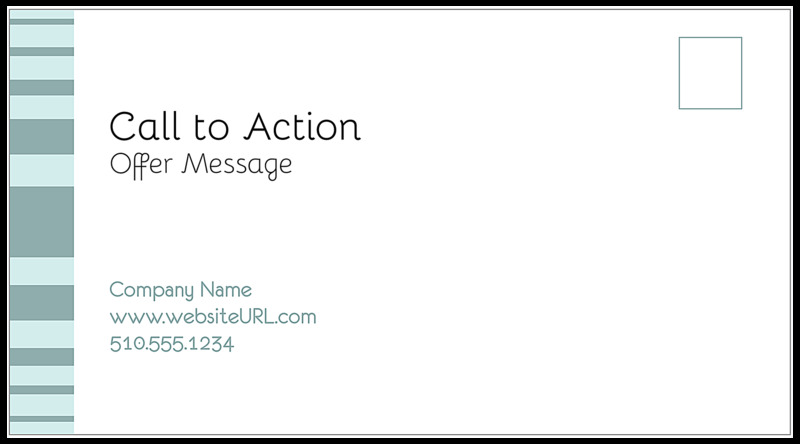 A single column of that same pattern is repeated on the back alongside your call to action and custom message. Choose between five different color schemes and use our online design tool to customize Give Us A Stripe and make it uniquely yours today! Looking for a fast, easy (and free) way to turn a professional template into a custom postcard? Our easy-to-use postcard design tool is the answer! Once you’ve chosen your template and matching color scheme, all you have to do is follow the online prompts to upload your own photos and personalize your postcard text. It’s so simple! When you’re done designing, you can generate a PDF to share with your marketing team before printing custom postcards. High-end paper stock and high-quality printing are standard at PsPrint, where we offer affordable discount printing without sacrificing quality. Our custom printing team offers excellent support to make sure you get exactly when you want when you print personalized postcards – guaranteed! PsPrint takes the hassle out of direct-mail with our full-suite of postcard marketing services. We offer demographic-based mailing list generation, postcard addressing, and even postcard mailing using our Indicia. Print powerful nonprofit postcards the fast, easy, stress-free way with PsPrint!